In the well known myth of Pandora, hope was the last and most need gift at the bottom of a box of myriad misfortunes let loose on an unsuspecting world. For most human beings hope is a positive benefit. 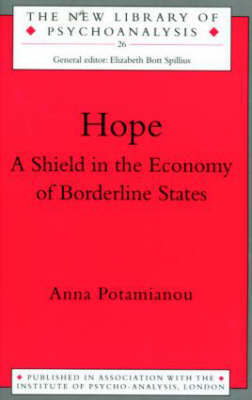 Anna Potamianou shows how in the 'borderline' patient hope can become a perverted and omnipotent means of denying reality. Indeed, in such individuals any state of mind or feeling can take on the status of an object, which is then used as a barrier against their fear of change. The psychic economy and dynamics of borderline states are not yet well understood and this book makes an important contribution to the clinical debate.